I suggest you chkdsk your Windows partition. I also suggest you resize the NTFS in Windows, then install Ubuntu to the free space. 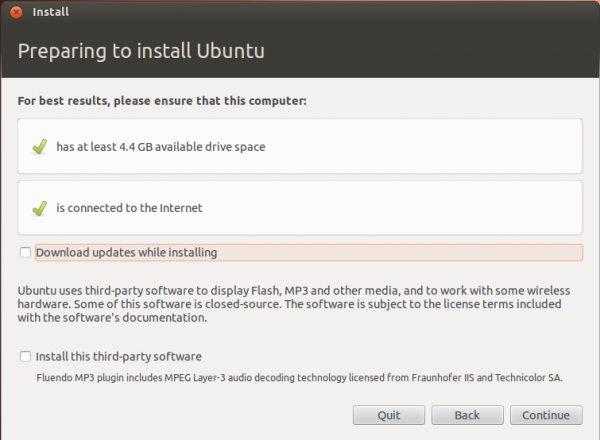 When I tried to install Ubuntu 12.4 again after doing that, I received the same error. I was going to undo what I did but I see that I lose 1g when I do that, so now what do I do? It says I can do a new simple volume and maybe then the space will no longer be unallocated. Please help me. I think I have a bad Ubuntu CD, because from my research, I see that I am not supposed to get the "no detected operating system" message. I hope I did not mess up my computer with a bad CD; please advise. OK, I think I am following what you said about how to edit my question, irrational john. I did chkdsk as you and actionparsnip (andrew-woodhead666) told me to, and I also did a lot of other things before I found out how to chkdsk. No problems. Thank you. Then I put back the space (extended) I took from system. I still was only able to put back 15 and not 16 so it is up to 99mb not back to 100mb. Then I shrank HP (C) as you told me, to 10 13,240 mb which is (12.93gb Unallocated). I did not change it into NTSF by doing the (New Simple Volume Action) I just left it. (I think it is the INSTALLATION TYPE window). Therefore I do what I have been doing and I QUIT. What do I do now? Sorry that it seems like I cannot do anything on my own. On the YouTube video how to install ubuntu dual-boot alongside windows, Ubuntu gets installed so easily. The installation option page gives three options including dual installation and the disk even lets you use a slider to slide to the size of the partition size you want. Yet my Ubuntu LiveCD is a mess. I checked it as one of you guys told me to and got back information that it is good. Oh, well. This guy says you should press a control key to tell which device you are using to install Ubuntu before the screen comes up... I guess 'cause it is old. If you are installing different versions of Windows, you must install the earliest version first. If you don't do this, your computer may become inoperable. Open Computer Management by clicking the Start button Picture of the Start button, clicking Control Panel, clicking System and Security, clicking Administrative Tools, and then double-clicking Computer Management.‌ Administrator permission required If you're prompted for an administrator password or confirmation, type the password or provide confirmation. Accept the default drive letter or choose a different drive letter to identify the volume, and then click Next. If you don't want to format the volume right now, click Do not format this volume, and then click Next. For more information about formatting, see Formatting disks and drives: frequently asked questions. Hard disks, the primary storage devices on your computer, need to be formatted before you can use them. When you format a disk, you configure it with a file system so that Windows can store information on the disk. Hard disks in new computers running Windows are already formatted. If you buy an additional hard disk to expand the storage of your computer, you might need to format it. Storage devices such as USB flash drives and flash memory cards usually come preformatted by the manufacturer, so you probably won't need to format them. CDs and DVDs, on the other hand, use different formats from hard disks and removable storage devices. For information about formatting CDs and DVDs, see Which CD or DVD format should I use? Formatting erases any existing files on a hard disk. If you format a hard disk that has files on it, the files will be deleted. What I did was: I got to the computer management section, then I clicked on the drive "HP (C)" and it became striped to show it was selected. Then I clicked on ACTION, selected ALL TASKS and then selected SHRINK VOLUME and then chose how much space from what it was giving me that I wanted (12.93gb). Then I tried to instal Ubuntu. I never got to the third screen that is in the video I linked earlier (the YouTube video with the English guy). I also did not get the fourth screen that allows you to select a partition size. What I got was the second INSTALLATION TYPE window shown on the LINUX BS DOS.COM page that I linked, and it showed no information about any drives (no drives/partition or stuff was shown) only the Boot Loader statement and the dev/sda bar and that's why I did not press install but chose to QUIT. To create a partition on a basic disk, there must be unallocated disk space on your hard disk. With Disk Management, you can create a maximum of three primary partitions on a hard disk. You can create extended partitions, which include logical drives within them, if you need more partitions on the disk. @obsessiveFOSS I don't know what a GRUB menu is, and I do not know what the Ubuntu boot option is. I think the best thing for me to do now is to get a cheap used laptop and either do a dual installation or just install Ubuntu on to it. This way if I have any issues that I cannot solve like the one I had here, at least I will still have a usable computer to work on and to use to get answers with because I am not an expert like the people on this forum. Thanks a lot. I will try to keep learning and do research enough to some day help someone else. I am trying out a change in the way I add updates to an answer. 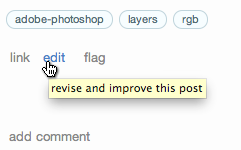 The most recent updates/edits to this answer are now at the top. Older and potentially less relevant material is further "down" the body of the answer. Jacinta, my understanding is that the utility os-prober is what the Ubuntu installer uses to determine if any other operating systems (i.e. Windows, in your case) is installed on the computer. The above says that your Windows 7 installation was detected on your computer. Why doesn't the installer see all of my hard drives? According to that question all you need to do is boot your install CD, choose Try Ubuntu, and then issue the command below in a terminal window. This apparently removes the dmraid metadata. After doing that, you can use the desktop icon Install Ubuntu 12.04 LTS to start the Ubuntu installer. 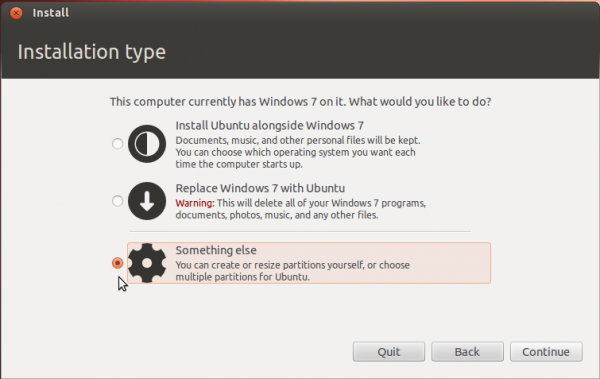 This time the Installation Type window should contain the option to Install Ubuntu alongside Windows 7. Note: If for some reason the above does not work, then please try using the command below to remove the dmraid package. I do not think you will need to do this, but I wanted to mention it "just in case". Jacinta, I looked at your first pastebin. The second attempt seems to have more errors. I'm not sure what happened with it, but the first pastebin seems to have been collected with no problems so that is the one I am using. What I believe you said you want to do is install Ubuntu 12.04 LTS alongside Windows 7 on your HP Pavilion 64k desktop computer. According to your BootInfo summary you have a 1000 GB WDC WD10EADS-65M hard drive which currently contains the 3 Windows NTFS primary partitions shown below. /dev/sda1    *          2,048       174,079       172,032   88.1 MB   "SYSTEM"
/dev/sda2             206,848 1,929,785,343 1,929,578,496  988   GB   "HP"
/dev/sda3       1,929,785,344 1,953,122,303    23,336,960   11.9 GB   "FACTORY_IMAGE"
This is my guess as to the function of each of these three partitions. "SYSTEM" is the Windows boot partition. It contains the windows bootloader which will display the Windows boot menu. Windows starts up by first booting this partition and then transfering control to the code in 'sda2', "HP", your Windows 7 partition. The "SYSTEM" partition is apparently the one which you attempted to shrink to free up space on your drive to install Ubuntu. However, this partition is too small for this. Shrinking it will not provide enough space to install Ubuntu. "HP" contains your Windows 7 operating system. It uses most of the space on the drive. 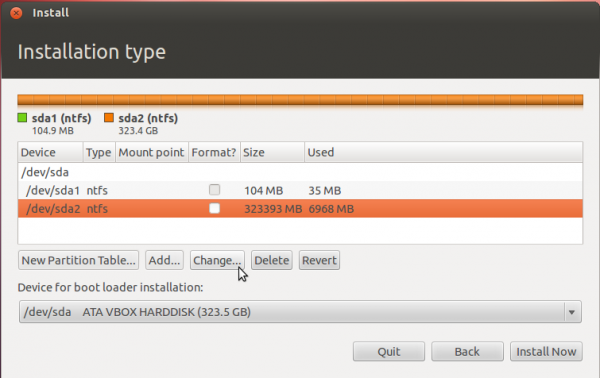 If you want to free up space to install Ubuntu, this is the partition to shrink. "FACTORY_IMAGE" is your system (Windows) recovery partition. Be very careful to avoid damaging this partition! This partition contains whatever software HP has provided for restoring your computer's software to the state it was in when HP manufactured it. If you ever need to re-install Windows to this computer, you would use the software in this partition. What I suggest you try is to shrink your second, "HP", partition by 10 to 40 GB and then try one more time to install Ubuntu. Then shrink the "HP" partition in Windows by following the steps listed in your question. If you are unsure how much room to free up and at this time only want to experiment with Ubuntu, then I suggest you shrink the volume by between 10 to 40 GB (10,240 to 40,960 MB). After completing the above, try installing Ubuntu again using your "Ubuntu 12.04 LTS amd64" install CD and see what type of an install is recommended. If you are still having problems, you can update your question here to get further suggestions on how to proceed. I cannot tell from the information you have provided what is happening on your computer. But if you have unallocated space then you should be able to install Ubuntu into it. We just need to figure out how your computer is currently set up so that we can suggest the proper way to accomplish this. Could you please look over the steps below to see if it is something you could do? The steps below describe how to install and run a utility called Boot-Repair. You can use this tool to create a Bootinfo summary containing information about how your disk is partitioned. Note: The steps below assume you have booted your Ubuntu 12.04 install CD (or USB) and selected Try Ubuntu to use a "Live Session". Any software you install during a Live Session will disappear after you reboot your computer. Nothing is installed on your computer's hard drive. Using "boot-repair" in a Try Ubuntu Live CD Session to provide a BootInfo summary. Boot your Ubuntu 12.04 LTS desktop install CD and select Try Ubuntu. Enter the commands below one at a time into the terminal window. These commands use the system tool apt-get to install the boot-repair tool. Note: If you display this answer in your Live CD session's Firefox browser then you can copy a command into the clipboard and then paste it into the terminal. You can use the keyboard shortcut ShiftCtrl+V to paste into a terminal window. After the commands above complete, enter the command boot-repair to start the tool. After a slight delay, boot-repair will prompt you to download the newest version. Since you just installed the latest version, answer No. If boot-repair asks to install the pastebinit package, respond with Yes. The tool will now scan your system and (eventually) display the window shown in the example below. Click on the Create a Bootinfo summary box/button. This will collect information about your system's boot configuration, but will not make any changes. 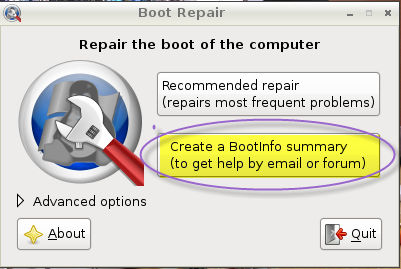 When the bootinfo summary has been created, boot-repair will display a message containing a URL which should look like this: http://paste.ubuntu.com/123456/. Important: Please update/edit your question and add this URL. The information in the pastebin this link points to will help us to understand what is happening on your computer. If you create a partition in Windows, a New Simple Volume as you refer to it, then Ubuntu will NOT use it. Ubuntu will only attempt to install into space that is considered "unallocated". If there is insufficient unallocated space on your drive, then the Ubuntu installer will probably suggest trying to modify one of you existing partitions to create space it can install into. Since you have already done this, I think you do not want to do this. Do NOT let the Ubuntu installer erase your disk to install Ubuntu. This will permanently delete your Windows installation. If you made a new partition via windows (or any other means) and then went to install ubuntu onto that clean partition and it some how corrupted. Your windows installation should still be fine. 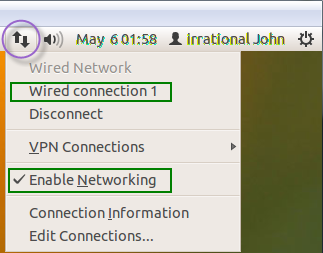 gparted on the ubuntu live cd is a great tool for when your have partition issues too. VOILA! had brand new options, and was able to unmount/remount my single raid drive, and i am now installing....thank god for these ubuntu forums! key seems to be partioning the drive using ubuntu's gparted. after that windows will allow you to install with what you did with gparted and ubuntu will then see that win7 is installed as the partioning was done in ubuntu's terms without win7 messing it up. Not the answer you're looking for? Browse other questions tagged windows-7 raid system-installation or ask your own question. I am having problems booting after I installed Ubuntu. How can I collect information to diagnose and fix the problem? Windows 7 partition D: to unallocated space?